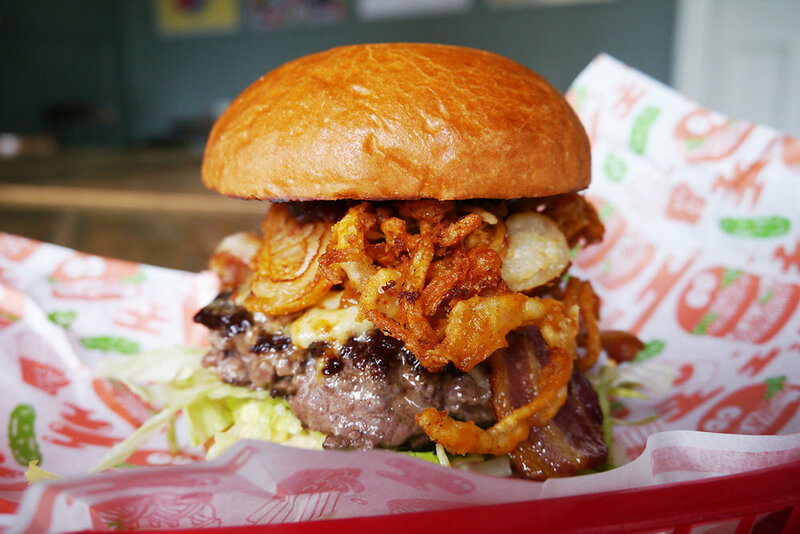 Me and my team will be bringing Burgershack favourites the Hubba Hubba (once bigged up on Twitter by Giles Coren, no less), the signature Burgershack burger and the delicious Chickenshack – PLUS a brand new take on a veggie cheeseburger, and a tip-top fish finger bun. Legendary sides Amazeballs, Chilli Cheese Fries and Chilli Poppers will also be making a comeback AND each week there'll be a different special that will be paired with a beer – thanks to support from the ever-brilliant Camden Town Brewery. Sign up to the mailing list to receive the weekly email outlining the following week's special off-menu burger and beer combo. As before, I'll be getting my aged chuck, brisket, rib cap and bone marrow burger blend from Nathan Mills at The Butchery – and using not one, but three different burger buns across the menu to ensure each burger is on point. We're having a little launch party on Thursday next week - I'll be cooking up some sliders and Camden will be dishing out free beer while Leo from Amateurism brings the musical vibes! 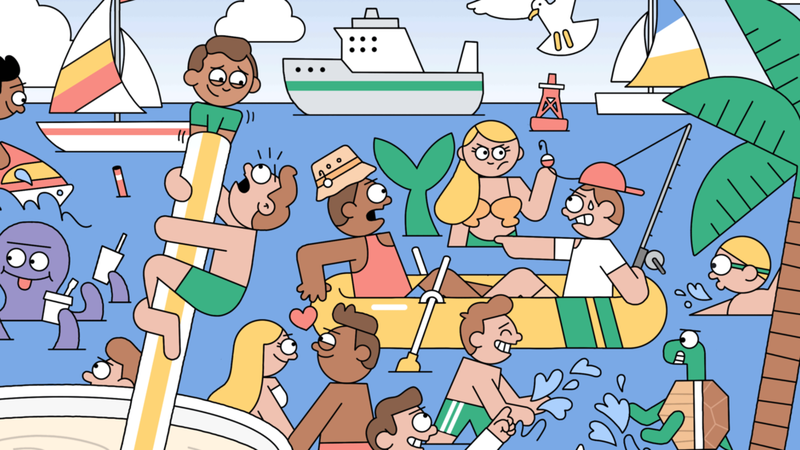 "I was commissioned by TBWA Japan & Agent Hamyak to illustrate a tray mat for McDonald's Japan to celebrate summer and promote the sweet treats range," Woodger explains. Read more about / see more images of the work on Woodger's site and also on It's Nice That. Purveyor of rare, exotic sounds and lovingly reproduced retro goodies, Jonny Trunk is the owner of a pristine and very rare point-of-sale cardboard cut-out of Muhammed Ali eating a burger. Which, naturally, he loves very much. However, being the Very Good Egg that he is, Jonny didn't want to keep all that rare famous-person-eating-a-burger joy to himself. No siree. He's very kindly super-duper high res scanned said pristine cardboard cut-out and made an actual size (A3) Giclée print on hand cut Hahnemuhle Photorag 308gsm archival art paper of the artwork (in an edition of just 25) which he's selling for £40 a pop. Needless to say I've bagged one - they're selling like er, hot burgers - so if you want one - buy one now HERE.